All hail the Shogun Flame! 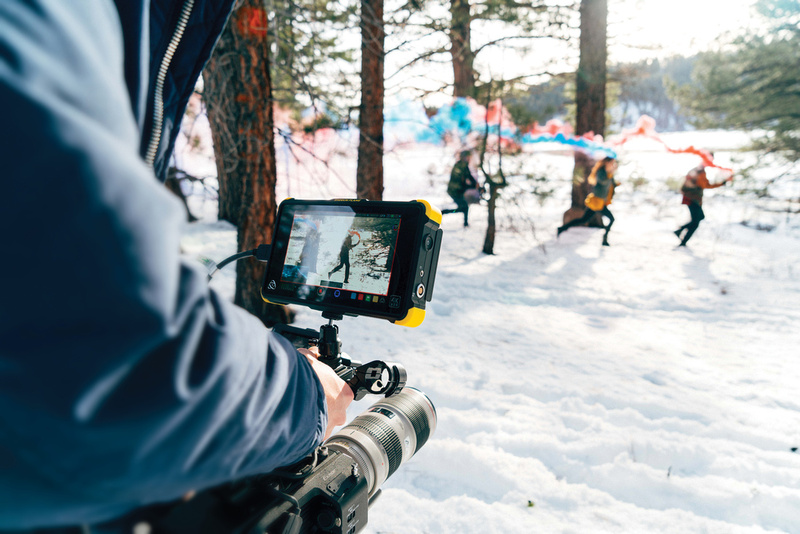 No, we haven’t, in fact, joined a samurai cult but it is official, LA Media LOVES the Shogun Flame field monitor from the Flame series by ATOMOS. We recently had the joy of using one of these babies out on location for a big Netflix drama. In this blog, we will share our experience of using a Shogun Flame on a large production and tell you why you should love the Shogun Flame too. Recently, our team was on location for a rather successful Netflix drama (we can’t say yet who but we will!) where we were tasked with flying an Arri Alexa Mini with a 24mm Ultra Prime lens on our Vulcan Raven with the Gremsy H16 gimbal. We were grateful that mother nature was on our side that day. We had excellent drone flying weather and beautiful bright sunshine, which meant we would be able to get lovely footage. Before the rig was launched into the air, a multitude of field monitors appeared beside us. Field monitors are needed to aid the production team and they allow the camera crew to view the shots we would fly. The big production from down south wheeled out their fancy high-end monitors while we used our pilot’s Shogun Flame to monitor our shots. While sunny weather is indeed a blessing when filming it did make viewing the monitors very difficult. The sun was right behind us and the other monitors needed covers and cumbersome hoods so that the crew could view the pictures we were transmitting back. Our team, however, did not have that problem. Without exaggerating at all, the Shogun Flame was really the only monitor worth looking at! Why was the Shogun Flame so much better? Principally it was down to the intensity of the 1500 nit panel featuring a high dynamic range of 10 stops+ on a 7” HD calibrated display screen with 10bit processing power, (a nit is a measure of luminance…obviously). (1) It has a hot swappable dual battery system that automatically swaps to the second battery when power is low. This means continuous power in the field is all but assured. No more battery panics mid-shot. (2) It has a flexible OS and is packed with an extensive suite of scopes, all 1-touch away and simple to use. Focus, framing & exposure (Focus peaking, 2:1/1:1 zoom, Zebra, False Color, Frame guides, SMPTE Safe Area, Waveform, RGB parade, vectorscope) along with a flexible 3D LUT implementation (use built-in LOG to Rec.709 Video or upload cube files) and options for anamorphic de-squeeze monitoring. (3) We obviously did not need this when flying but for traditional filming, the Shogun Flame has a professional audio capacity. You can monitor up to 8ch of embedded HDMI audio, up to 12ch of SDI audio or use an included XLR breakout cable to connect to external microphones for balanced analogue audio with 48V phantom power. The audio control is simple with dedicated meters and menus to select channels for recording/monitoring and adjustments for frame delay and gain. 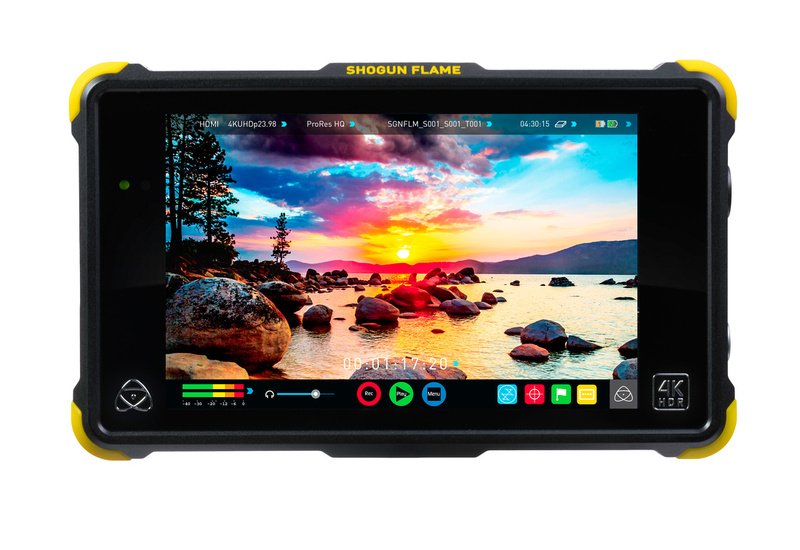 Get yourself a Shogun Flame, it’s a no-brainer when it comes to production and filming on location!